“People have painted us as being iconoclasts although, more often than not lately, I hear us described as Canadian icons. I think it’s great to be iconoclastic icons. It means that people acknowledge you as being this force that represents constant change and constant challenge. Canada is recognized for being a cavalier place, culturally, always trying to push it harder, certainly in the audacity of Canadian film and literature. 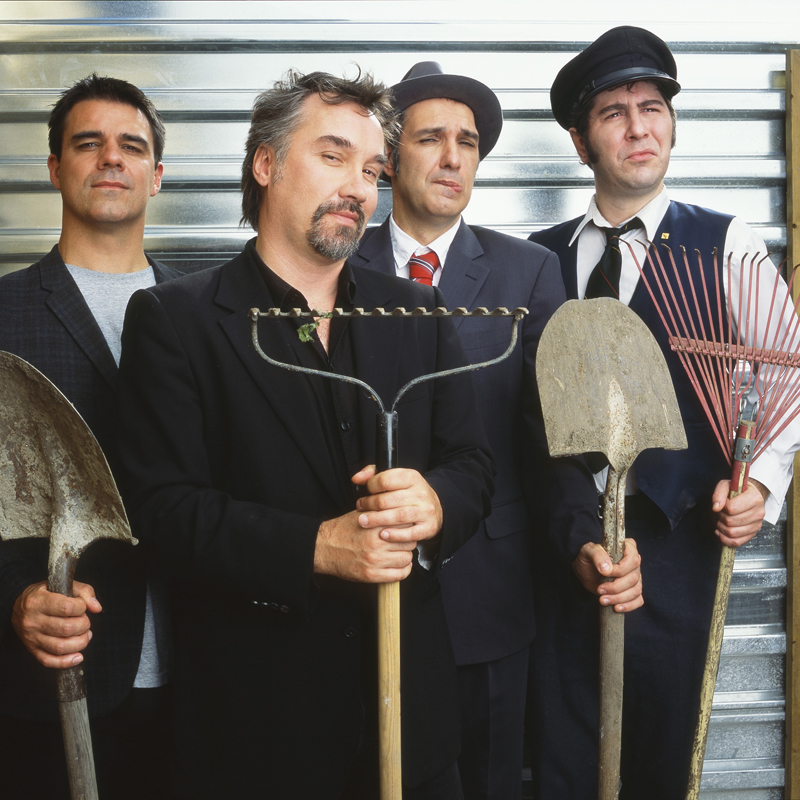 There’s no reason music can’t have that same reputation.” – Dave Bidini, Rheostatics guitarist. 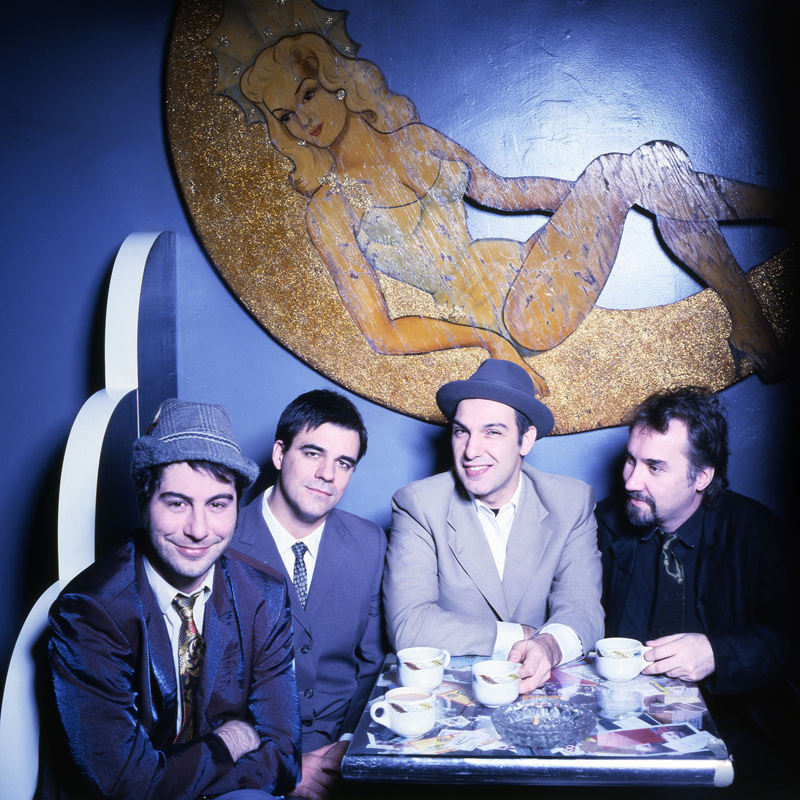 For more than two decades, the Rheostatics have mapped new frontiers across Canada, embracing the nation that bore them and reinterpreting its sea-to-shining-sea grandeur in music of startling variety and indisputable beauty. 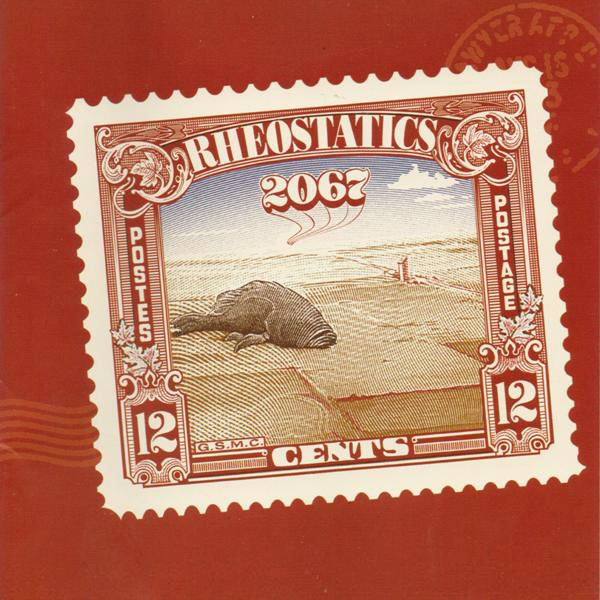 The band has remained fiercely loyal to a unique vision that is entirely dependent upon the alchemical interaction of its members, the catalyzing friction that renders gold from lesser metals – and that distinguishes the Rheostatics from bands of lesser mettle. 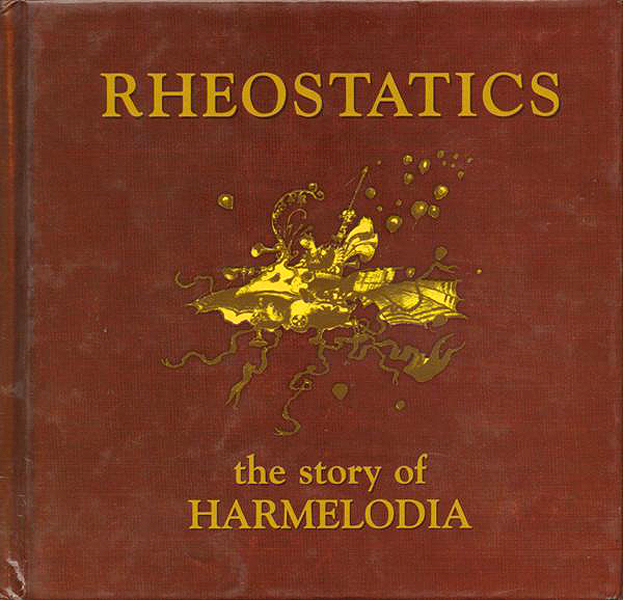 Their music has been described variously as “prog-rock,” “art-rock,” “orchestral psychedelia” and “a loosely organized cacophony of sound,” all of which reveal the frustrating limits of language, especially as employed in the service of music journalism. As the irrepressible court jesters of culture insist, writing about music is like dancing about sculpture. A truer description may be much simpler. 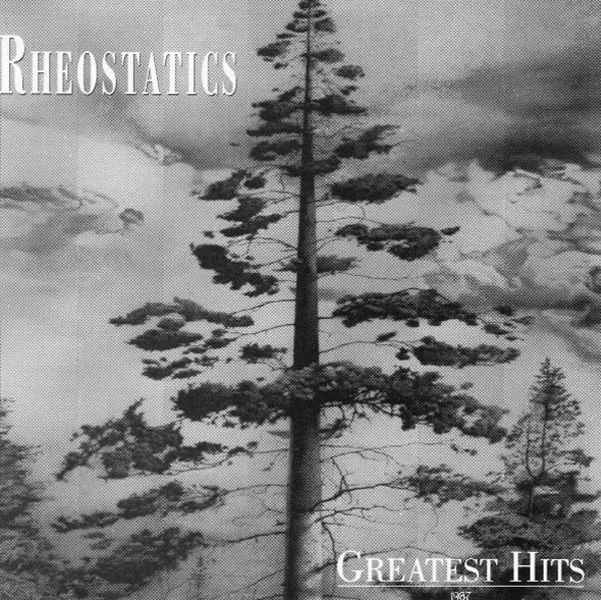 The Rheostatics have released eleven albums since 1987 — only one a major label release, which speaks to their independent spirit, tenacity and mutual, though not unchallenged, commitment. 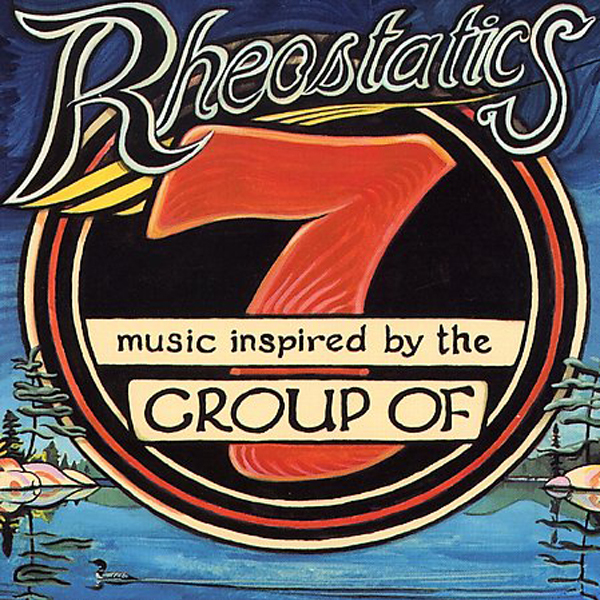 Inspired by such national treasures as the Group of Seven, Stompin’ Tom Connors, the divinatory — not divine — government of Mackenzie King, rolling prairies, Canada’s national game, les couriers du bois and more, the Rheos have plundered the Canadian mythos to become a kind of bedrock myth themselves. 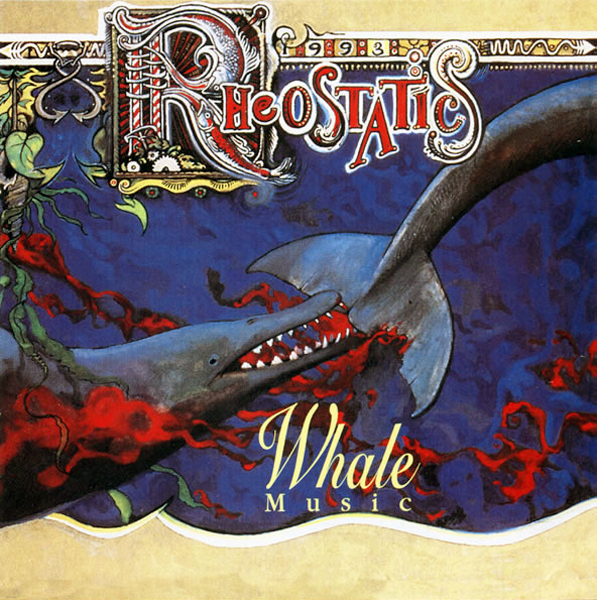 In a millennial survey of Canadian music critics, the Rheostatics placed two albums – Melville and Whale Music – in the top ten Canadian records of all time, a feat duplicated only by the legendary Guess Who. “Canada Listens,” sponsored by CBC’s Saturday afternoon magazine Definitely Not the Opera, mirrored the search for the great Canadian novels undertaken by “Canada Reads” and chose Whale Music as the single rock album with which all Canadians had to be familiar. And yet, it would be disingenuous, even on the band’s own website, not to acknowledge that large-scale commercial success is something that has so far perversely eluded them. 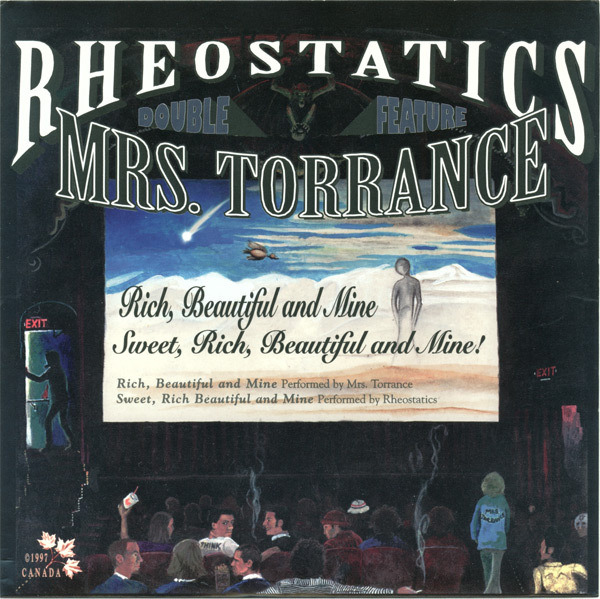 That band’s desire to connect fuels the fierce loyalty of Rheofanatics. 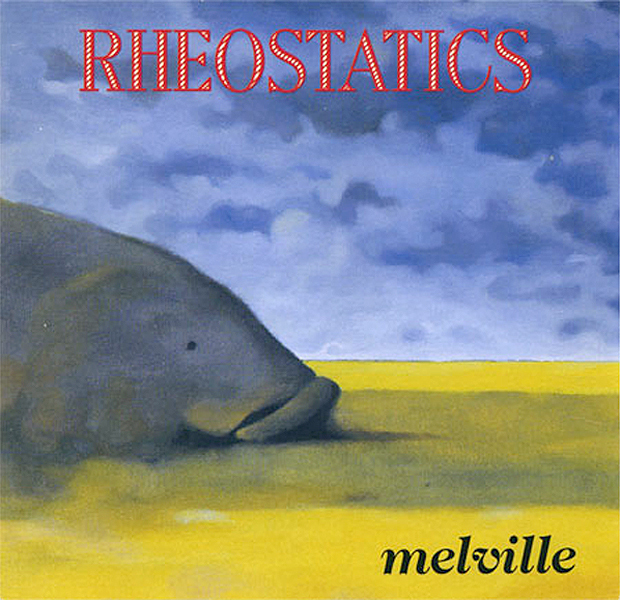 Rheos’ fans are willing to share their contagion with reckless abandon and eagerly look for the listener whose ears are big enough to become a novitiate in the Rheostatics confraternity. 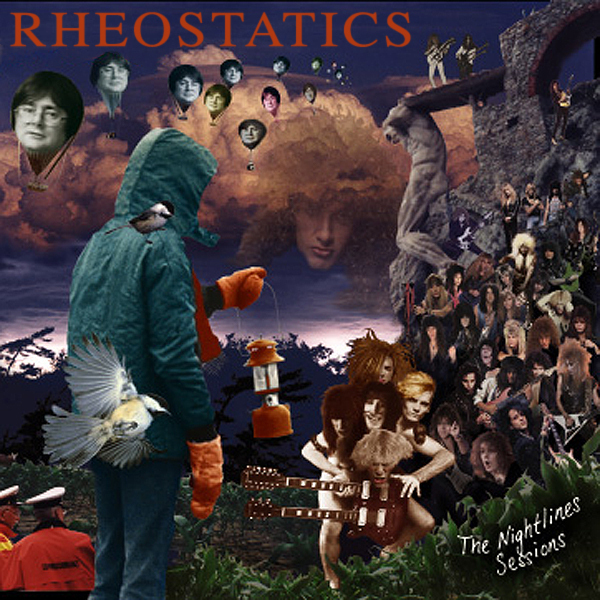 In the past few years, the demographic at Rheos shows has begun to shift to a new generation, kids whose parents were responsible for introducing them to the band, kids who — in this instance at least — confess their parents aren’t middle-aged know-nothings. 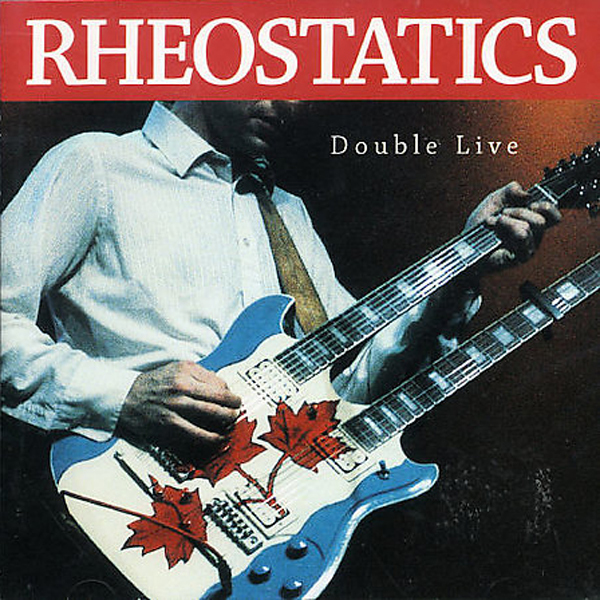 The Rheos’ live shows are legendary among fans and often exceed two hours. The band sometimes abandons the stage – and amplification – in favour of the dance floor for a short acoustic set, and everyone is encouraged to sing along. Other times, extended jams on old favourites open up new possibilities, and songs are reinterpreted with greater complexity – or satisfying simplicity. 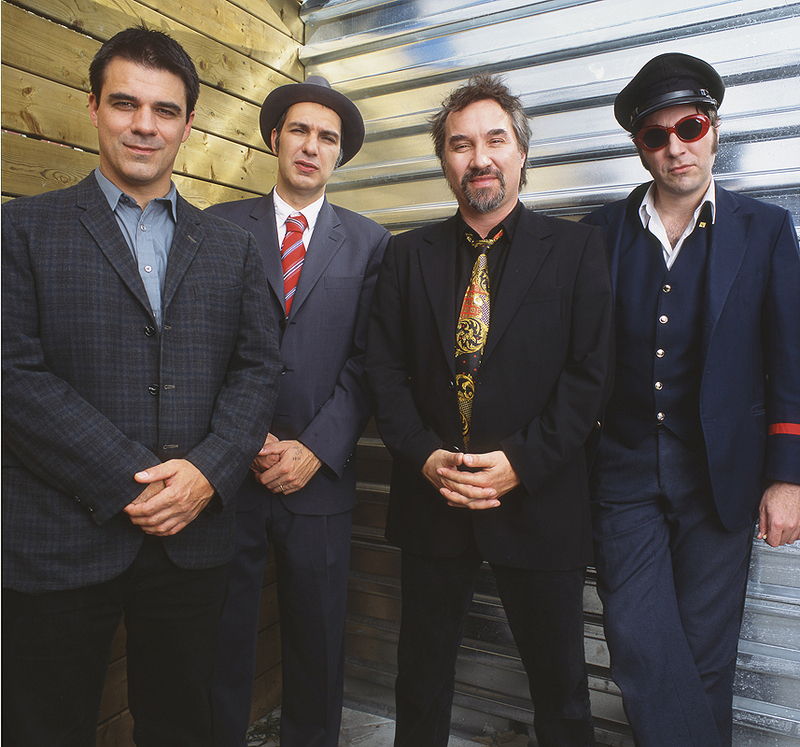 Songwriting duties and lead vocals are shared between bandmates Dave Bidini, Martin Tielli and Tim Vesely. This unstintingly democratic commitment makes the band doubly difficult to pigeonhole as the particular talents of each member are showcased in rapid succession. In performance, band members also swap instruments or pick up new ones, stretching this four-piece in new directions. 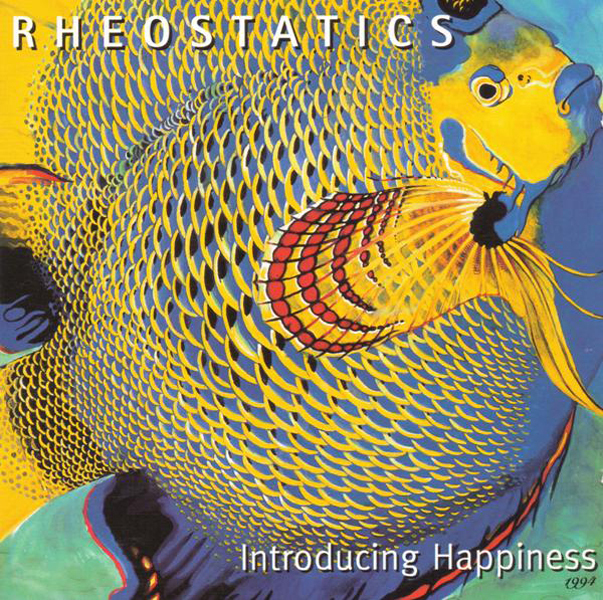 The Rheostatics are also famous for nurturing new talent. In the beginning, their annual, and now legendary, Green Sprouts Music Week, which not only showcased the Rheos, but gave new opportunity to up-and-coming bands searching for opportunity. 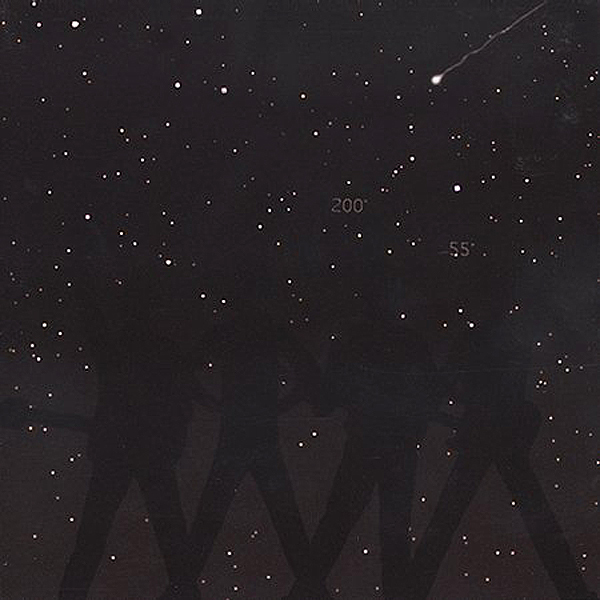 That same supportive attitude now extends to their annual Fall Nationals, the latest of which was a 13-night stand at the Horseshoe Tavern in November 2003, and which featured guest performers from across Canada. 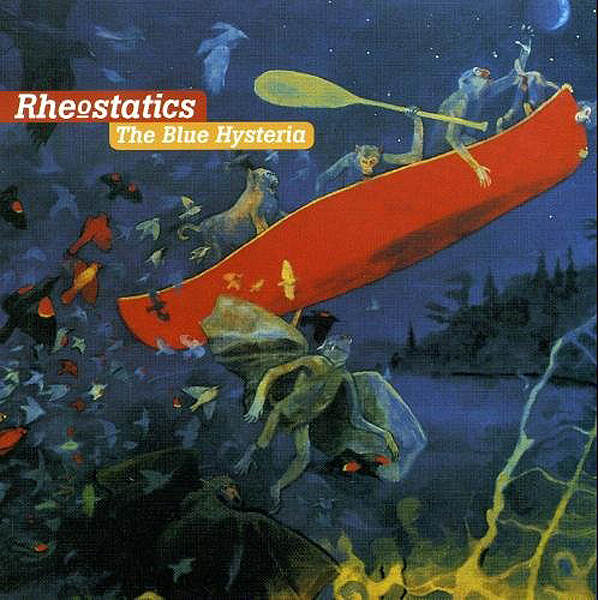 For those who have yet to experience the Rheostatics, their first hearing may mystify until they settle into the aural receptiveness required to expect the unexpected. Those ‘in-the-know,’ know they know something special.